Refreshing to re-discover was H989 FTT, a Carlyle bodied Mercedes 811D, modified as a camper, but new to Red Admiral; later operating with Burtons of Brixham of which the parent company, Transit Holdings, also operated. H989 has been tucked away out of sight for many years in Millbrook, long lost by the bus enthusiast. Thankfully, A-Line Coaches manager Jim Goddard was still aware of its existence, and with a sharp mind, the bus sprung straight to thought when N276 PDV blew her engine a couple of months ago. After lying uninhabited for some time, H989 was dragged to the depot where her engine was extracted, and mounted into N276 PDV. Thanks to this, she is quite easily the nicest 709D I've ever ridden on. 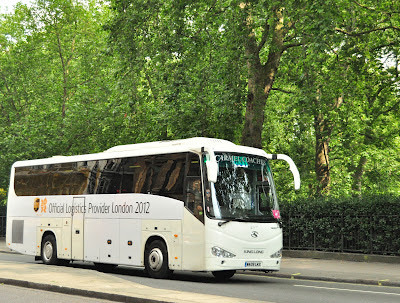 The more powerful turbo charged engine from H989 pulls N276 along like no other Mercedes minibus I've ever rode upon. 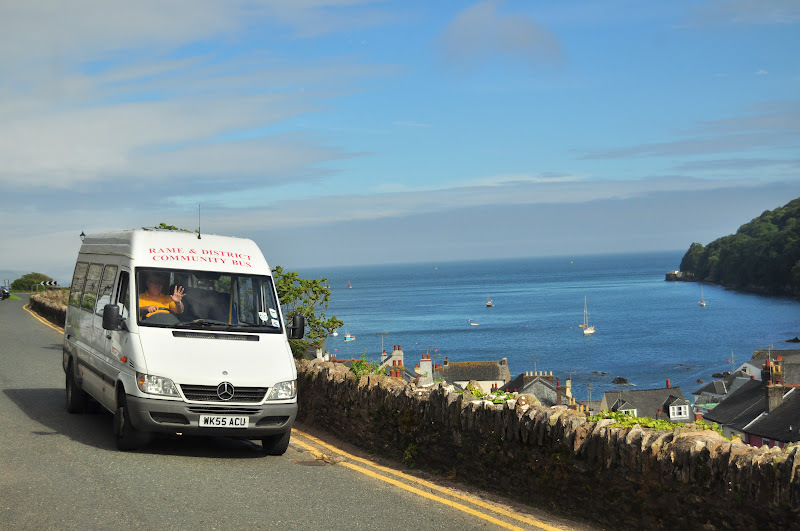 As you may be aware, the hills around Cawsand, Cremyll and Millbrook and pretty steep, requiring 2nd gear with a 709D in places, with the engine revving high into the rev band. Amazingly, N276 now pulls up in 4th on the same hill, and can even be teased into 5th, and still pull! Thanks to this ability, N276 is now achieving even better fuel economy than before, as well as being able to keep to time much more capably on the demanding route. Really is quite a pleasure! 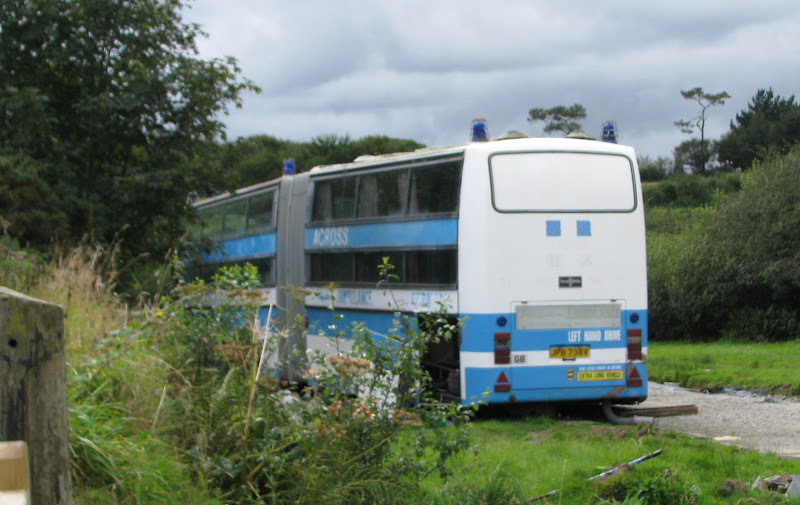 The fate of the rest of H989 will lead her to a scrapyard in the very near future unfortunately, although, was probably quite well past a prospect of preservation looking at her general condition. Still, it's nice to know that she has been so noble in her last act, losing her heart to keep a sister going. Just as I'd managed to catch up with an old friend from back 'home', so it is that she is taken away from me again - and how prematurely! 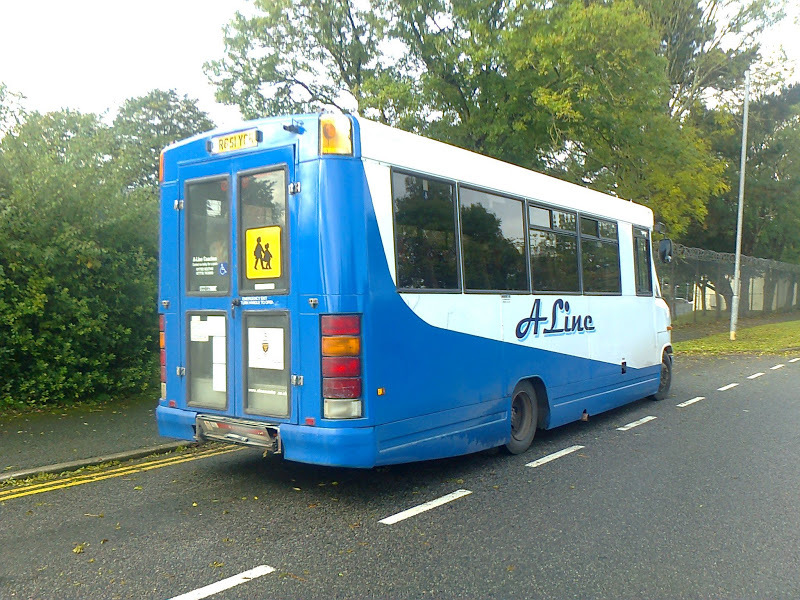 Dennis Dart R460 CCV was unfortunately within the next batch to be withdrawn and taken away for scrap, pictured here resting before her final journey, in Old Fieldhouse Lane Depot. 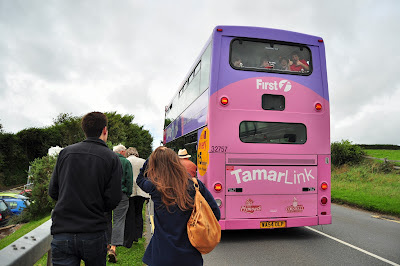 Somewhat frustrating in that I never actually got to ride on her to 'remind me of home' before she was withdrawn. As Nathan picked up on last week though, its so surprising that all these relitively young, low floor vehicles are being withdrawn up here, while down in Devon and Cornwall, more and more step entrance vehicles have been added to the fleet in recent months, including increasing numbers of the K-LAE batch of Leyland Olympians, and N reg step entrance Dennis Darts from Bristol. Why not send R460 back home to join her sisters, who have returned home to Plymouth after spending time in Barnstaple over the last few years, until its unfortunate closure this month. I'm sure she'd be most welcome! While pacing my way through Lancashire on Monday, I came across this Olympian parked down a side road near Accrington Bus Station, so thought it worth going out and having a look! To my, well, astonishment, N721 LTN which some of you may remember as being Stagecoach Devon 16721, was blinded up for an X38 to Buckfastleigh! After looking back through my own collection, and other people's photos, it appears that Pilkington's have never actually bothered re-programming the blind from its days with Stagecoach. A majority of the time it appears to be left with 'megabus.com' on the blind, which was indeed the case when I photographed it last in August of this year (pictured below). Nice bit of free advertising for them! Shame really, as its an very well presented bus for a small independent, but blinds definitely don't seem to be the company's strong point. 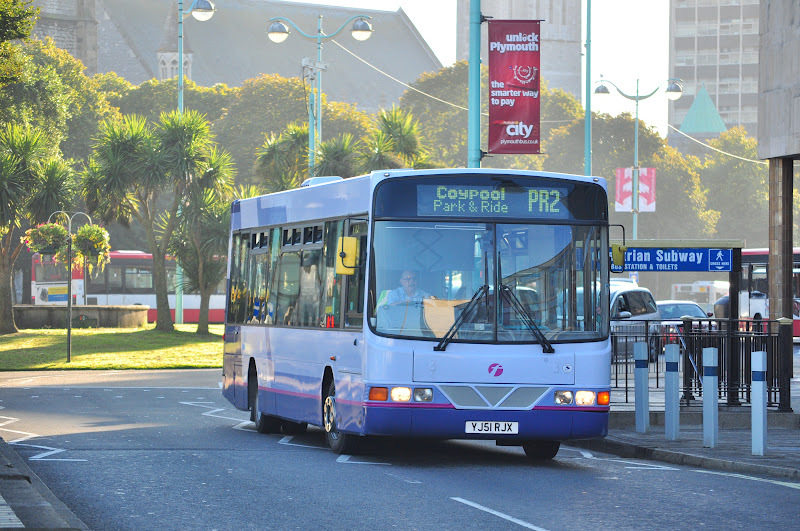 As promised I have managed to track down what has been an quite an illusive R460 CCV, during about the only sunny day I've had since I moved up here. That said, it hasn't been particularly nice anywhere in the UK over the past couple of weeks, but that hasn't stopped me pushing the concept of it 'never raining' in Cornwall ;-) R460 does appear to be a bit battered and bruised compared to her sisters who've stayed native, and indeed maybe this is the case underneath as well, I've only seen here out earning her keep once in the 15 days I've been in Huddersfield so far. 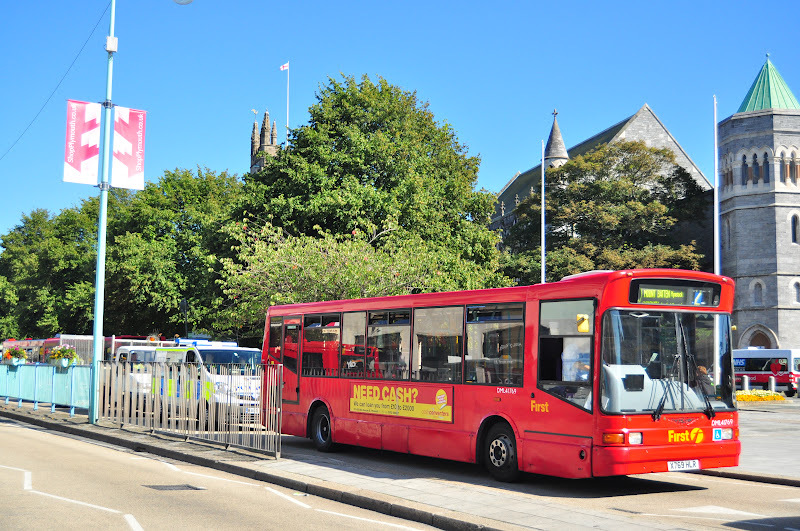 The other exciting news for this week is that I've got round to starting the new blog, Public Transport of the Huddersfield Area. After a hiccup with Blogger itself, I've been unable to use the website address I would have hoped to, so have had to resort to the closest I could get, this being WWW.PTOTHA12.BLOGSPOT.COM (it will work typing in lower case as well)! There's a couple of posts on there already, with at least 2 more in the pipeline for the coming week. 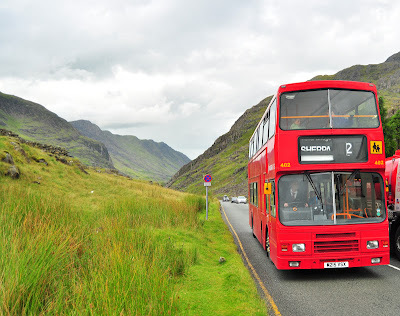 There's so much out there to explore, not only are Yorkshire and neighboring Derbyshire very beautiful in their own right, but the companies operating within them also make for a very varied and interesting bus scene. With the likes of Trent Barton providing some of the most up to date thinking in the UK in terms of public transport, we can also find at the other end of the scale operators such as TM Travel, who operate a fantastic range of Leylands, Volvos and DAFs to keep the enthusiast happy! In terms of trains, it appears that there is much more loco action, with Class 31s reflectively easy to find. The local HST sets operated by East Midlands Trains are the only ones in the country fitted with the VP185 engines, rather than soulless MTUs we have in the South West, so these are most certainly of interest. And of course, the Class 142 is once again in abundance in my new home town, nice to have them back! Purely a self indulgent photo for the final Snap on Sunday for now, this being of a batch of vehicles that have been so close to me since I first started taking an interest in the hobby. 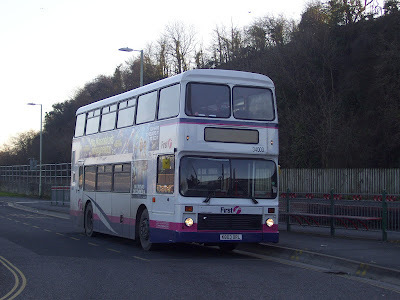 I'll never forget looking out the railings at Fourlanesend, my old primary school, and seeing not a Bristol VR struggling to reach the summit of the hill, but a gleaming bright pink bus, storming up the hill from Cawsand, how exciting! This was during the time they were being used for type training, before they had even entered service, and so this made it particularly special. This also spelled the beginning of the service going via Maker, rather than via Anderton, because it was felt that the Tridents were too large to negotiate this road, so to see them for the first time thrashing past the school up to Maker was also quite special. Of the 5, WA54 OLT 'Egret', has always been my favorite, and however much I have hated travelling aboard Tridents over the years, I think I may well end up missing Swan, Heron, Egret, Cormorant and Spoonbill; they're certainly the best Tridents I've ever been on! So, after 5 1/2 years, and some 800 posts, today is the day PTOTPA finishes in its current form. As you may have gathered, I commence my university life tomorrow, at the University of Huddersfield, ready to embark on a 4 year course studying Transport and Logistics Management. As I've said to many people, there aren't many hobbies in which you can gain a potential career from, and hence I class myself as someone very lucky. So of course, no longer living in the South West means I personally can't keep you up to date on the day to day goings on within the Plymouth area. This isn't the end of PTOTPA though, with the help of anyone who would like to contribute stories and photos within the area, I am very willing to process them, and write them into a full post. I will also be returning to the South West during key holidays i.e. Christmas and Easter, so there may be some opportunity for blogging at these times, and my summer lasts from the end of May to the middle of September, so again, during this 4 month period PTOTPA will be able to function hopefully near enough as it does at the moment. So its worth checking back here periodically for updates! 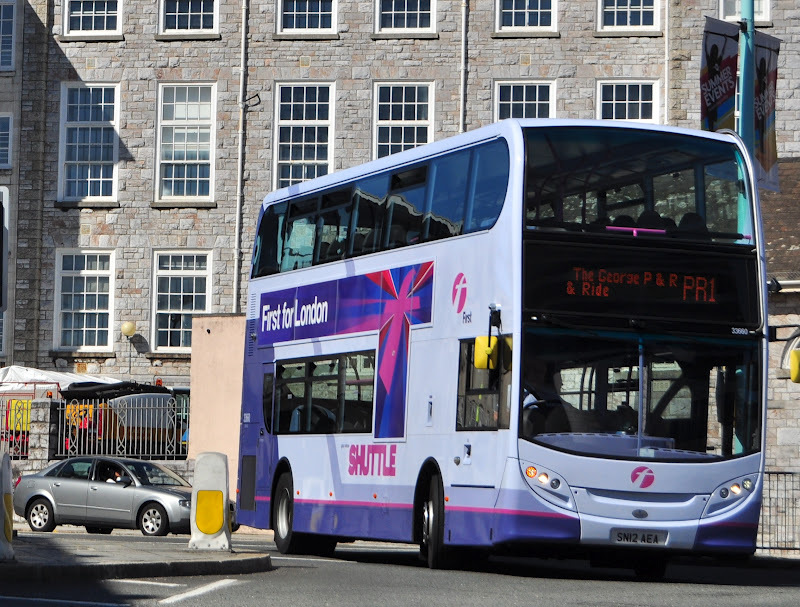 Of course, Graham Richardson at Plymothian Transit will without a doubt continue to capably inform you of the goings on in Plymouth, with some very interesting times ahead; a shame I'm going to miss out on it all! I will also more than likely begin a blog within my new area somewhere along the line, although as I have mentioned before, this may not be to everyone's interests. I will however post on PTOTPA any stories or photos taken up here, with a link back to the South West, for instance, in Huddersfield the local First subsidiary operates native Dennis Dart R460 CCV, and no doubt over the course of the next few years more vehicles will surface with some local connection. One last thing, during my third year I will be on what is described as the 'Placement Year', effectively going into industry and working as I would be doing after I have graduated, with any company willing to take me on for the year. This could therefore mean that from 2014 til 2015 I will be back in the South West, and ideally right now, this would be desirable, but this is a long way into the future, so who knows what may actually happen! So all I have left to say is, thank you all so much for your kind readership and support over the last 5 years. Its been a pleasure bringing you the local news, and I will dearly miss many aspects of the South West. So for now, farewell and thanks to all of you have have built up my 102'916 views to this little corner of the internet. 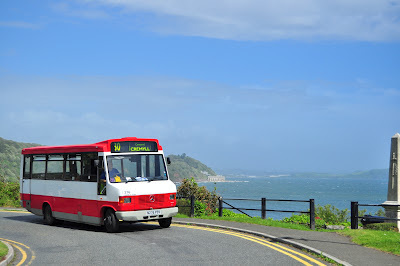 For my final day out in the South West before the move to Huddersfield this weekend I decided on a few trips on one of the most picturesque routes in Great Britain, that being the 93 (incorporated within a round loop using the X80/1). Typically though, pretty much everything that could have gone wrong, did! 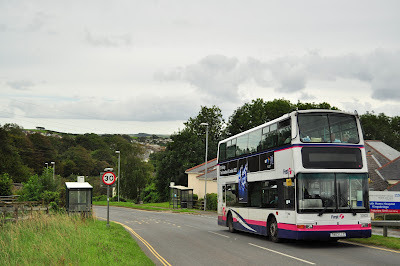 The day didn't start off well, with me missing the 0705 80 to Cremyll, but was no matter, the 81 via Torpoint would be along by 0720, only putting me back by half an hour in Plymouth. The Trident that came to greet me on the preceding service to the one I planned was, thankfully, one of the newer East Lancs bodied 55' plate Tridents, WJ55 CRX, and not one of the dreadful Ex-London monstrosities. And so content with this, I boarded in a relitively decent mood, despite not receiving the Olympian which I was hoping for. Things started to go wrong worryingly early on though, with the windscreen wipers coming on with no intervention from the driver at all! It was if they had a mind of their own. This was followed by a worryingly small turn of speed on the A38, and on reaching Lee Mill, only 20ish minutes into the journey, the alarms started going off, and the bus was pulled over in the village. 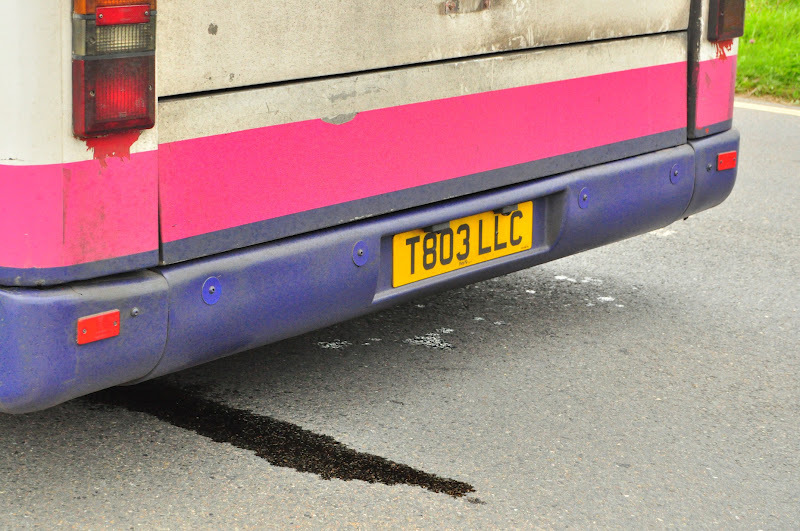 We stepped outside to find water leaking severely from the front of the bus, a problem which has been re-occurring with 32761 a worrying amount of times. 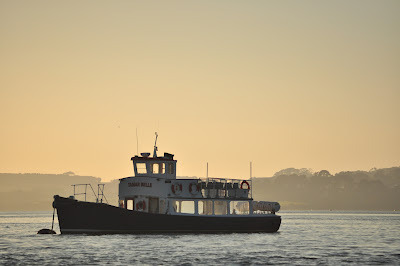 It seems to have started when she first starting getting used on Torpoint service, in which she ground out several times and with it damaged the water pipes, and henceforth they never seem to have been repaired properly. An hour passed by with the fitter unable to stop the leak, and therefore we were transferred onto the following service, operated annoyingly by Ex-London, LR02 LYS. 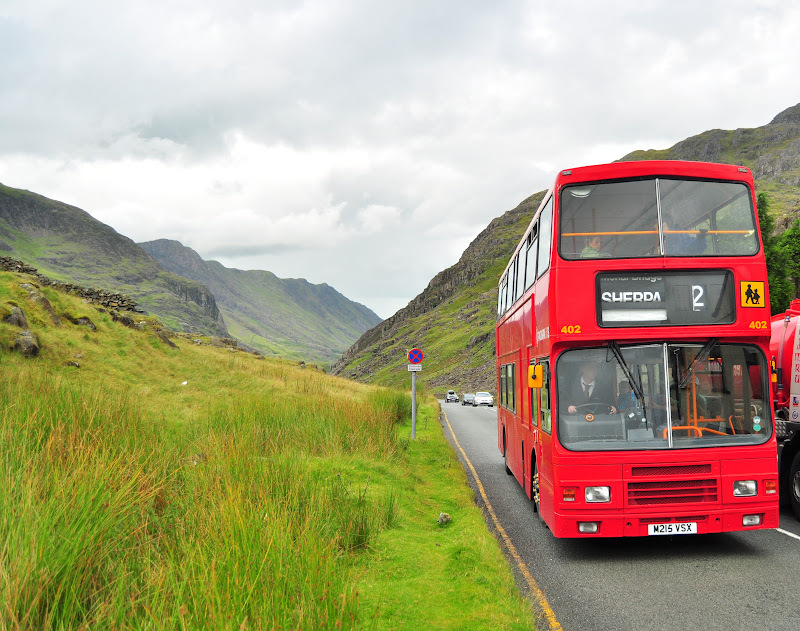 Because we then effectively were getting two bus loads on one bus, the service got so packed that the driver actually had to start refusing passengers, it had completely reached capacity! 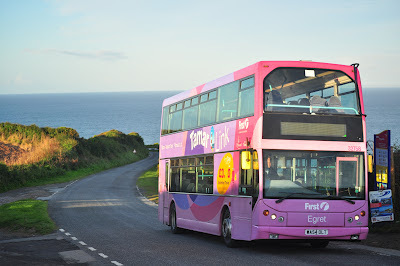 And so I was very glad to leave the service in Paignton, to transfer to the X81 to Dartmouth! 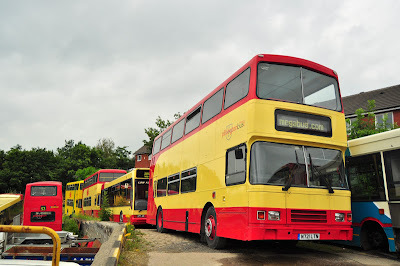 A very pleasant journey ensued aboard what I'd come looking for, Leyland Olympian K619 LAE! Despite being the 'worst' of the 4 still in service from Plymouth, she performed immeasurably better than the two previous Tridents, and we made good time along the lovely stretch of road right through to Dartmouth. Because so much time had been lost with the breakdown, I decided on getting on the first 93 that came along rather than hanging around, and this unfortunately ended by being provided by another Ex-London Trident, this time from the even more dire T-LLC batch. Before we'd even got going, T803 didn't want to play ball, with her not starting on the button! 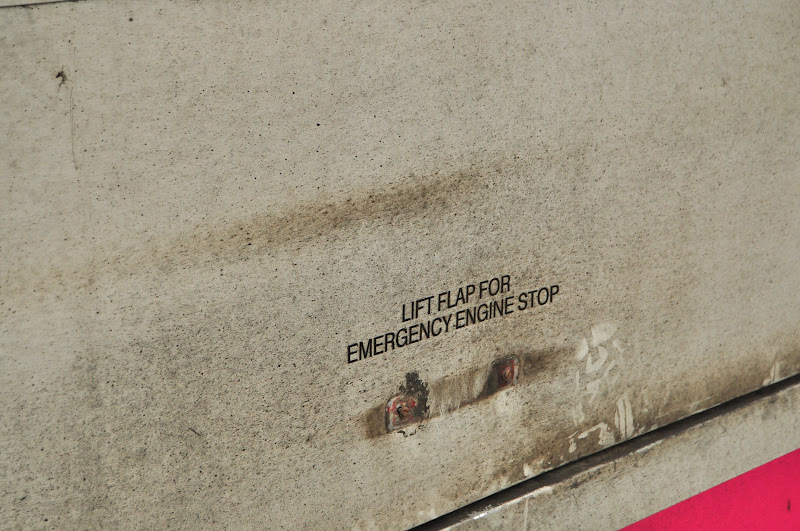 Luckily, the depot supervisor at Dartmouth was soon on hand to open up the engine compartment to start her manually. But things still were clearly not right with T803, the was banging and clattering into gear when the throttle was re-applied from neutral as the Voith gearboxes do, and this preceded to get worse and worse during the leg from Dartmouth to Kingsbridge. At points it simply wouldn't re-engage, with the bus just revving uncontrollably before eventually pulling itself back into gear. 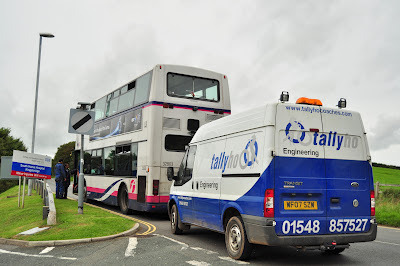 Sure enough, just minutes after leaving Kingsbridge bus station the inevitable happened, and T803 LLC ground to a halt outside Kingsbridge Hospital. 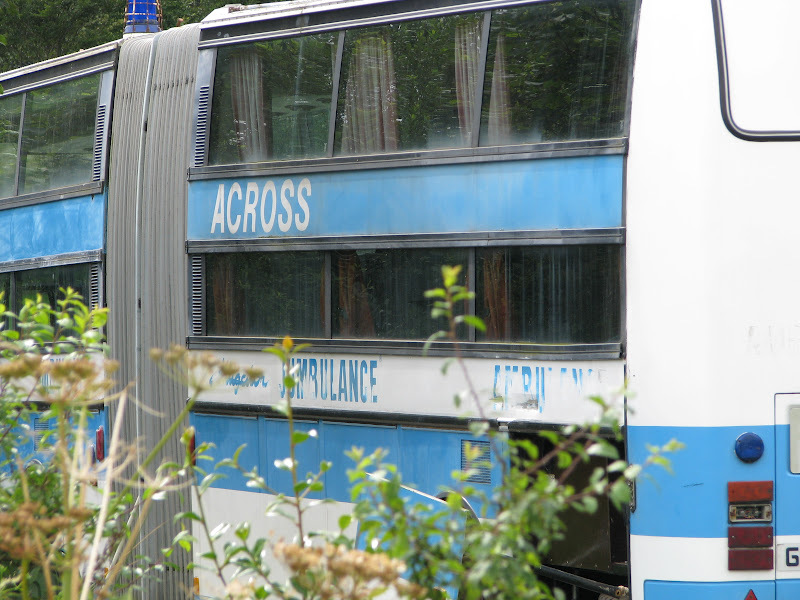 None of FDC's engineers were available to come out to fix it, and naturally there were no spare buses/drivers left for the service to be taken over, so another wait followed. Tally Ho! engineers did arrive to attempt to get her going again, but it was difficult enough just getting into the engine bay, with the handle having been broken off an hour earlier in Dartmouth! Unfortunately with AGF (automatic gearbox fluid) leaking across the road, there wasn't much hope, and therefore it meant another wait for the bus behind. 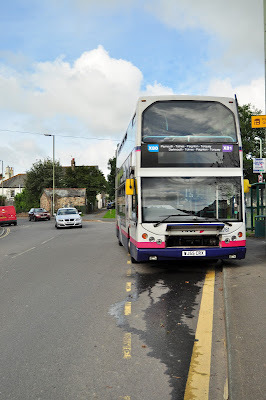 This was even worse considering the next service is the one I particularly didn't want to travel on, the infamous school service 93! Because of its extra journey up to the school, it took even longer to come than was hoped, and after a good 1hr 20minutes of waiting, the ever dependable Torpoint Trident WA54 OLP materialised, and quite frankly I was very glad of it! The Torpoint Tridents have always seemed to be far more reliable than any other Tridents I've ever experienced, and naturally, 32757 carried a full and standing load capably and efficiently back to Plymouth. 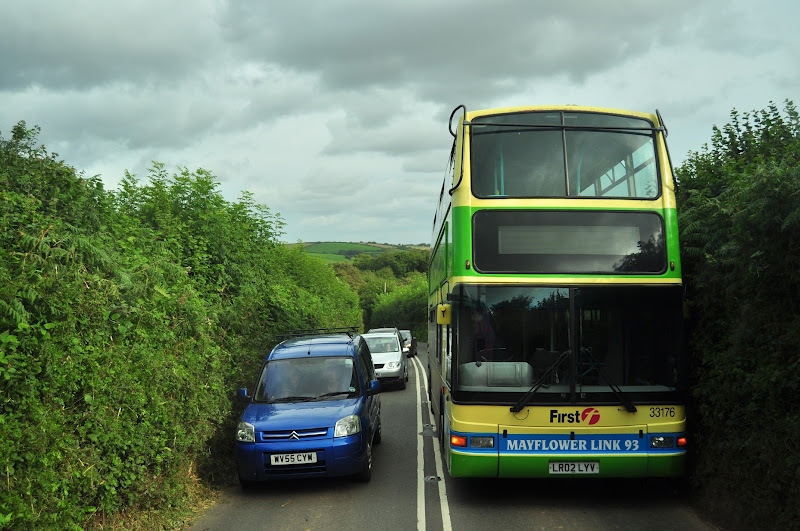 This included passing yet ANOTHER Trident that decided to litter itself across Devon on Tuesday, with Mayflower Link branded LR02 LYV disgracing itself in a particularly difficult place to get past! First Devon and Cornwall have began to capitalise on the new freedom to be able to locally brand their fleet in tune with the area, the first of this being the various Cornish depot. Buses within Cornwall rarely stick to the same depot, switching regularly, if not daily between various outstations, and hence a general theme was needed. This has materialised as 'First Kernow' and has quickly found itself onto quite a number of buses within the fleet. Its kept nice and simple, in fact you could probably argue its slightly too low key, with it only being placed above the driver's window and the front doors, but none the less its tasteful, and satisfying to the locals - the Cornish flag being particularly welcome! This week's Snap on Sunday comes to you from in between Devon and Cornwall, at the mouth of the river Tamar. And aptly, the Tamar Belle is pictured within the shot, basking in the low summer sun, awaiting the point at which she will take over the Northern Belle's duties for her annual refit, in the not to distance future. Here also begins my final week in the South West before I move for pastures new on Saturday morning, but more on that later in the week! A remarkable survivor within the First Group empire appears to be this J registered Dennis Javelin, J732 KBC, currently in use with First Somerset and Avon at their Taunton depot. 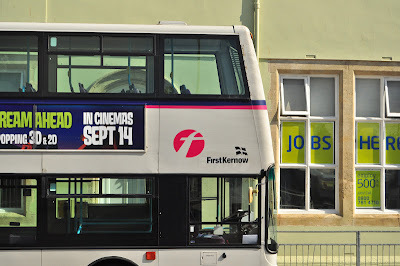 The coach had been new to Martins of Kettering, but has spent a majority of its life working for First Southern National, and later of course FSA, ideally suited to some of the longer express routes in the area, and indeed she was primarily brought in at first to run on the X53 between Exeter and Poole, while based in Weymouth. 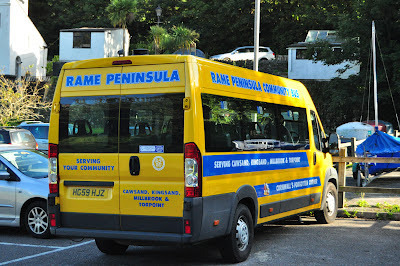 She has since had spells working within Weymouth since her withdrawal from frontline service. Weirdly though, J732 has carried Barbie 3 within her past, including during her time as a driver trainer, but looking through photos, it seems she has relatively recently undergone a repaint into what appears to be an older First Group livery as pictured above, very similar to the original Barbie livery, without the pink fades, which many buses did carry. My first thought was that this was to distinguish her from her more modern counterparts in Taunton, but other First Group trainers are painted in a much more up to date style than this. 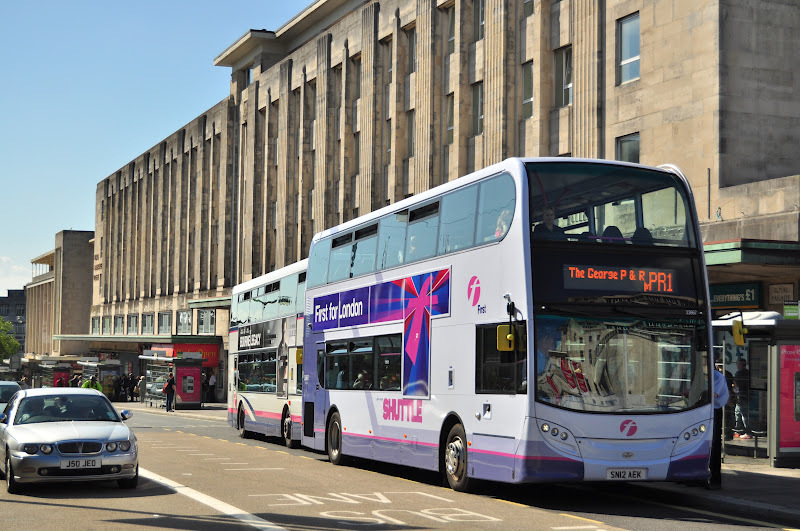 But back to the point, while many younger driver training vehicles have been withdrawn around her, J732 pounds on thanks to her being fitted with a manual gearbox. 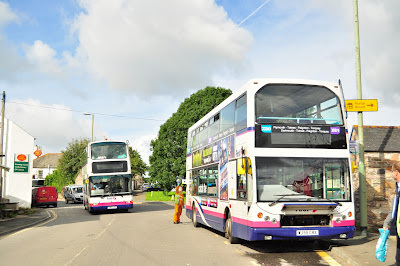 Taunton and Yeovil are some of the few places within the First empire where you can still find Mercedes 709Ds and 711Ds operating, and hence where a majority of subsidiaries now only train their drivers to automatic licences, FSA have had to continue training their drivers to full manual licences, so that they are able to driver the Mercedes in service. Somewhat strange considering that FDC withdrew many automatic Mercedes Varios for scrapping, or onward sale to Poland. I shouldn't complain of course, its always nice to have a bit of variety, despite First Group's questionable logic at times. My thanks go to David Jory for providing the photos of J732, seen here resting in Taunton Bus Station. 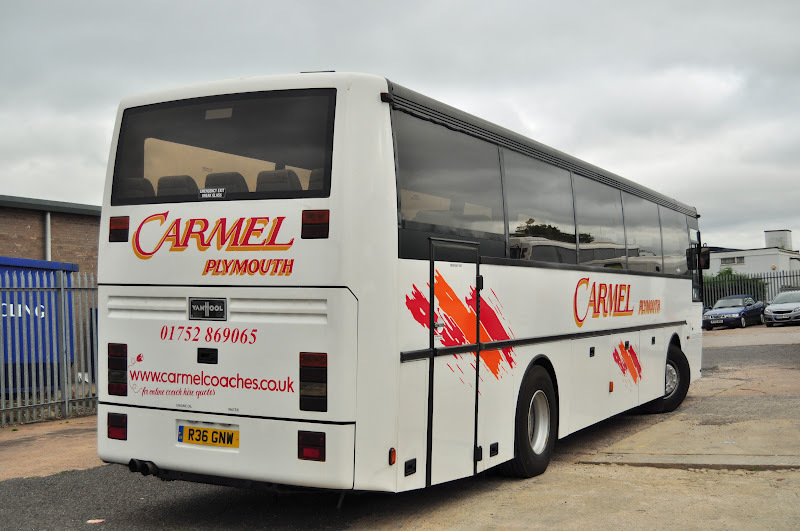 Well respected coach and bus operator Carmel Coaches' latest expansion has now been revealed, with the first coach to appear in the Plymouth branded livery, and be moved to their current storage location in Plymouth. 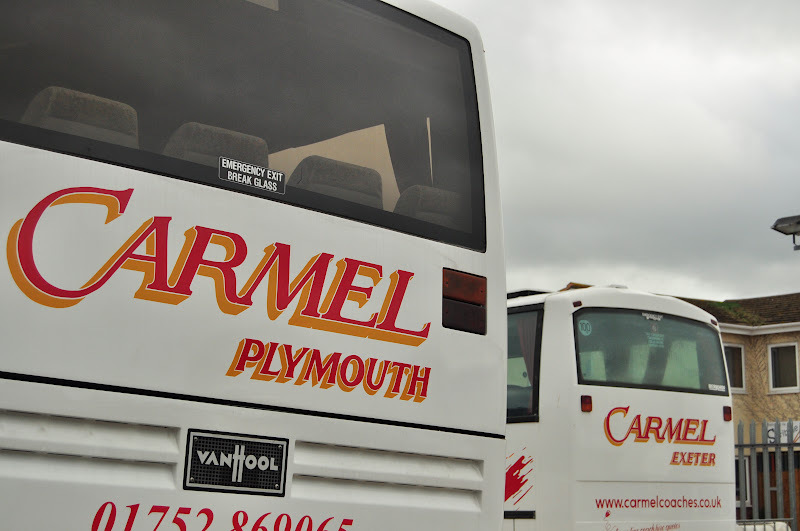 Carmel have been looking to expand into Plymouth for several months, and thanks to contract renewals for schools in the area, they now have a secure base to now be able to build on, rather than to dive in and hope for the best from private hire work. Carmel have gained a very good reputation in Devon since 1984, and hence private hire work does come in from outside their immediate local area. 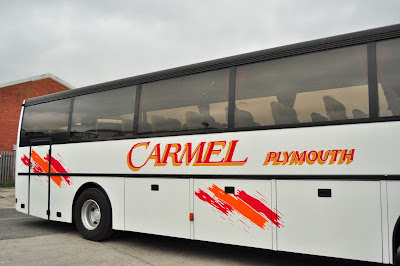 The Exeter division of Carmel was only started 6 years ago, with just a handful of coaches, but has already grown into a dominant coach operator within the city, so it will be very interesting to see how fast they are able to grow in Plymouth. The coach industry in Plymouth has grown fast in itself in recent years, with the formation of Jackett Coaches and Oakley's, as well as the expansion of Target Travel, and Girlings (since their merger by Roselyn of Par). 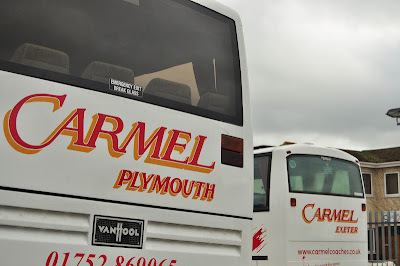 It will therefore be interesting to see how Carmel will mix in within Plymouth over the coming years. 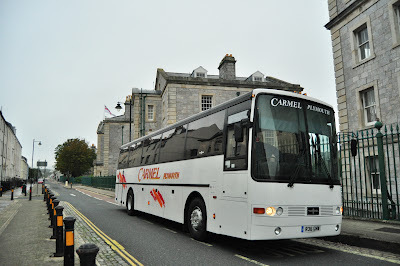 With the new base in Plymouth, it has also created quite an elegant triangle of coaches at the companies disposal, at Okehampton, Exeter and Plymouth, and therefore are in easy reach of any work that they may get within Plymouth, and over the borders into Somerset, and now quite possibly even Cornwall. 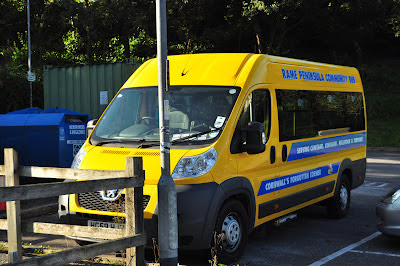 The coach itself that has started off has had an interesting history, passing through quite a few different operators over its working life. 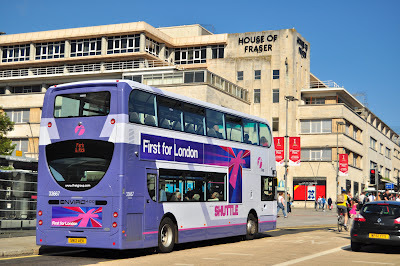 R36 GNW is a relatively rare DAF SB3000 bodied by Van Hool, which started life with Marchwood Motorways, and then passed to Armchair of London, but has also worked on National Express duties with Selwyns Travel, as well as private hire work. This was the first time I'd travelled on the SB3000, and I have to admit, I was extremely impressed! DAF often seem to make quite 'exciting' vehicles, despite their relative youth, and indeed the exhaust note from R36 was music to my ears! She really shifts as well, and cruised very comfortably on the limiter all the way down to Plymouth, on delivery from Exeter. 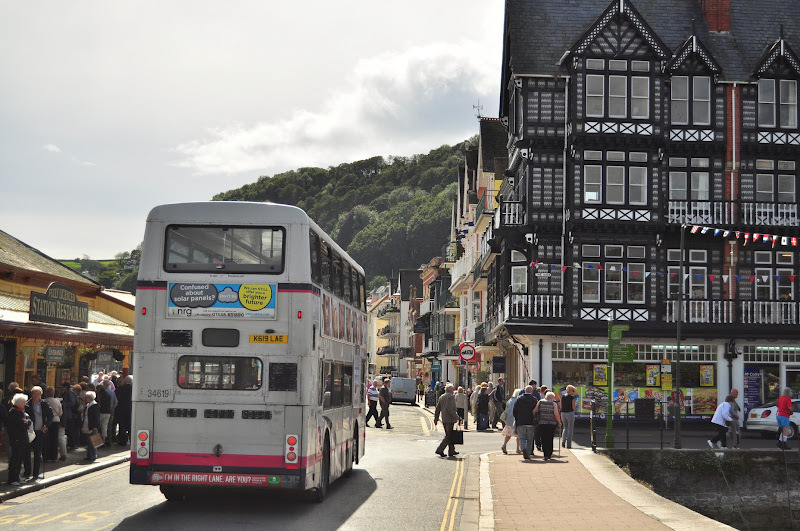 This week, a photo from the ever wonderful, annual Torbay Vintage Bus Rally organised by the Devon and Dorset Preservation Group. 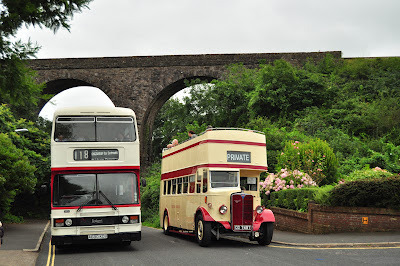 This shot sees Devon General vehicles DD 7497, an AEC Regent, posed next to a much more youthful A680 KDV, one of the Leyland Olympians that used to appear regularly on the Exeter to Plymouth express services 'back in her day'. 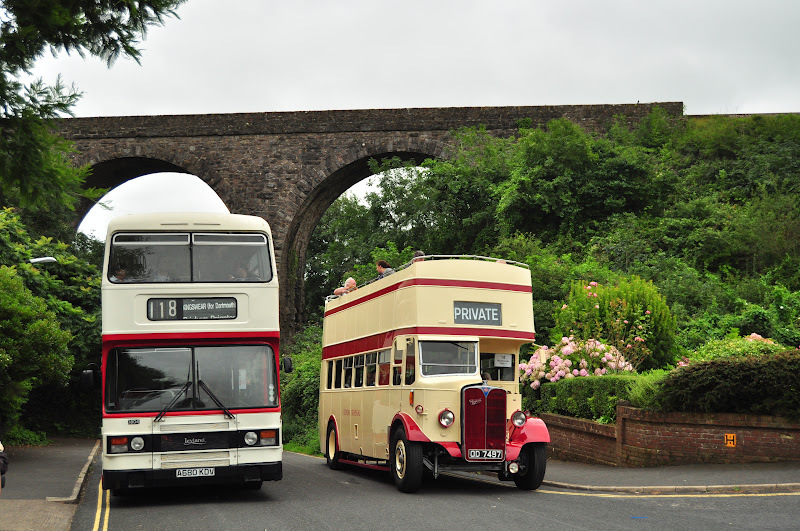 The photo is taken at the iconic Broadsands Viaduct, part of the Dart Valley Railway at which if the timings are right, you can pose vintage buses and trains together to create a real bygone era type photo. The rally was ever popular with enthusiasts once again this year, no doubt thanks to the huge amount of effort put in by the team who organise the event, so many thanks from me personally for a thoroughly enjoyable day out! Something a bit out of the ordinary this week for the Snap on Sunday. 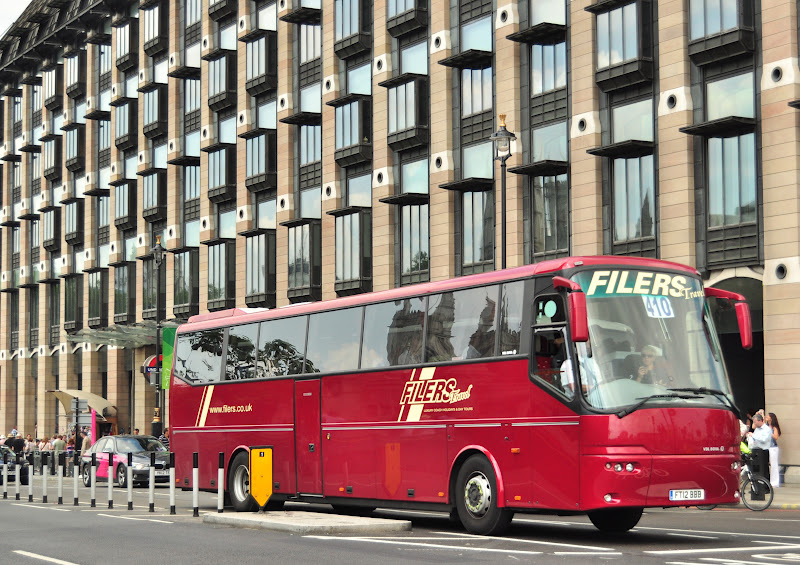 This 18 meter beast is a Van Hool TG821 'Alligator'. 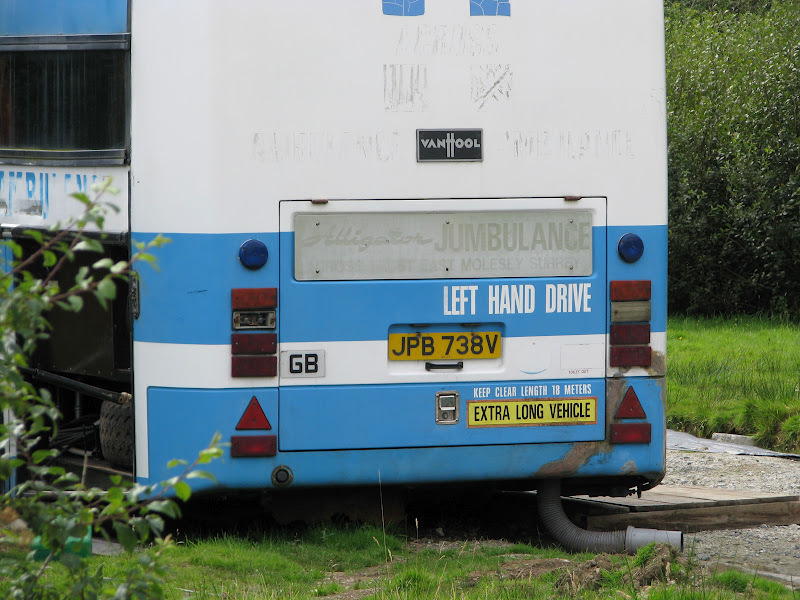 JPB 738V was new to Across in 1980, built to operate on 'Jumbulance' services across the UK. 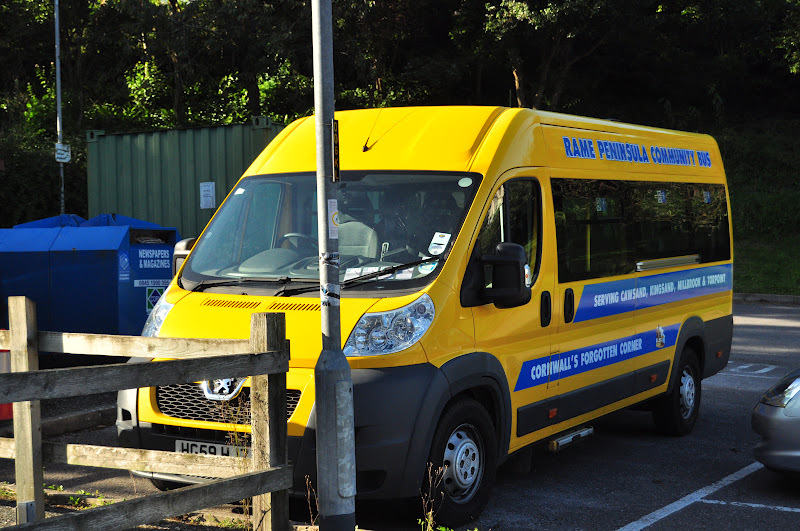 When new she was fitted with 14 beds along the nearside, stacked in twos, hence the non standard double tiered windows, with standard windows and seating on the offside for carers and family members. Her duties simply were to operate day trips for the sick, so that they were able to get out and see the world, from the comfort of a bed, and alongside friends and loved ones. Today, JPB has been converted to a mobile home (http://www.flickr.com/photos/76752978@N02/7860444132/in/photostream) and despite looking a bit rough round the edges, drove 210 miles between her previous home in Chipping Camden, and her new home in Cornwall under her own power, and what power she's got! As you'd expect she's a heavy old lump, and therefore is fitted with an engine to match, a 17 litre Fiat V8! Certainly a very rare find, so thanks must go to Mr Mayhew senior for spotting this one among hedges on his commute through Cornwall. Her new owner certainly seems to have a real interest in bringing her back up to top notch condition, so it certainly appears that the future is bright for this remarkable survivor. The Maker with Rame (now re-branded Rame Peninsula) community bus has just been updated with this 2 1/2 year old Peugeot Boxer. HG59 HJZ replaced the Ex-Downderry Mercedes Sprinter WK55 ACU which has been plagued with problems since its introduction a few years ago and hence a replacement has been sought earlier than usual. With a lot more branding included on this new livery design, it is hoped that she will attract new users in the areas she will serve. Apologies for the quality of photography, she's parked far to close to that fence for any decent photography! After being away from Barnstaple depot for nie on 3 years, K803 ORL has recently returned to the depot in its final weeks of operation to cover for the Tridents that had been at work on the Plymouth Park and Ride. 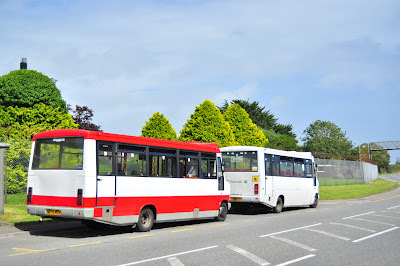 K803, along with 801 and 804 were of course based up in Barnstaple for several years prior to their move to Torpoint at the withdrawal of the C-HJN Leylands. This is why in particular that these three had been somewhat pampered with a refurbished interior and newer coat of paint than sister bus K802 ORL, which never made the move to North Devon. May well be nice for the drivers at Barnstaple to re-live a bygone era, also rekindling memories of their batch of very similar Olympians. This of course is the L-CFJ batch, of which only one now survives, this being L816 CFJ, currently based in Cornwall. 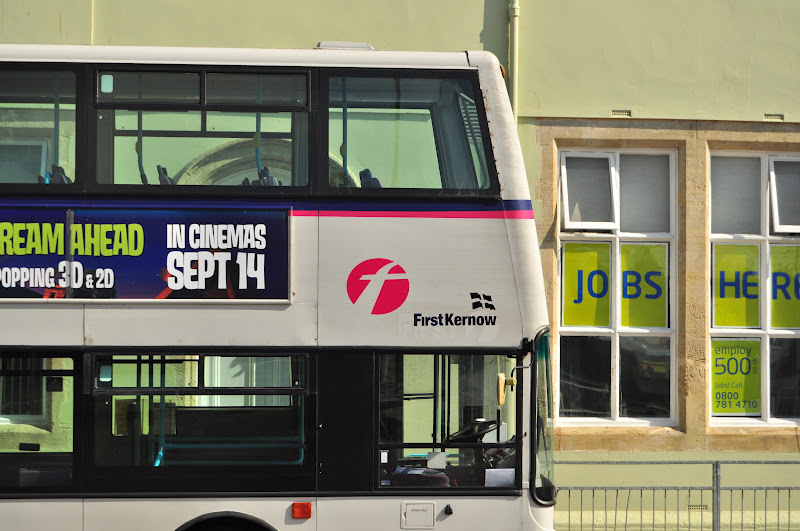 She is pictured at the top in the bus station after a run to Ilfracombe, with the photo coming with thanks from Kameron Allan. The photo below coming with many thanks from Luke Farley is from her time when permanently based in Barnstaple, without the headlight surrounds fitted which I think actually detracts from the 'happy' face found on a Northern Counties bodied Olympian with round headlamps! While photographing Ex-London Dennis Dart X769 HLR yesterday there was a certain little surprise hiding in the blind box! After zooming in on the photos it appears that instead of using a paper number as they have done before, First have dug out a blue Western National number blind dating back to the 80s! Obviously they'd thrown out all the black ones, other than the black destination blinds, and hence have had to install this rather than continue using bits of paper. Weird to think that this is the only bit that is at least in some way coloured correctly on the vehicle! So to the skeptics that thought the '12 plate Enviros may not return after Olympic duties, fear not! All of the original batch we've had have made it back to Plymouth after their work at Eton Dorney, with a majority of them being out on the PR1 and PR2 today. 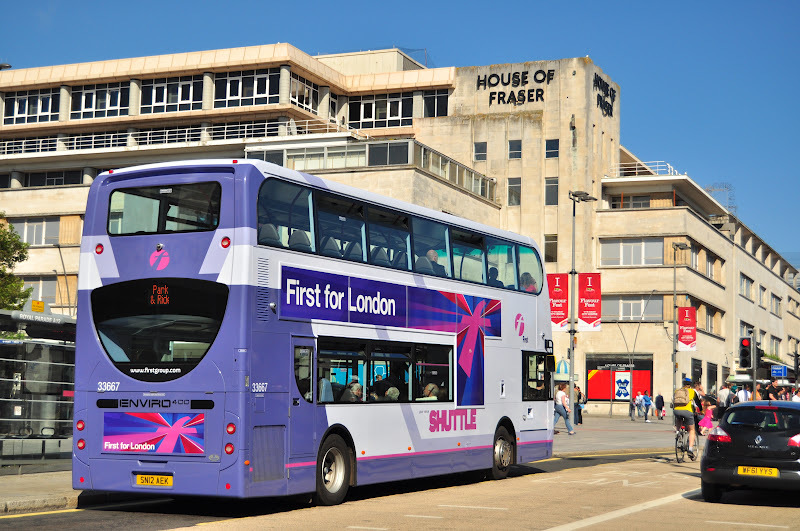 Quite of a few of them are still clinging onto fame, with their First for London branding. I'd presume this is likely because they'll be needed once again when the Paralymic games start in a few weeks time, and hence would have been a waste having to re-print them all and to re-apply them. 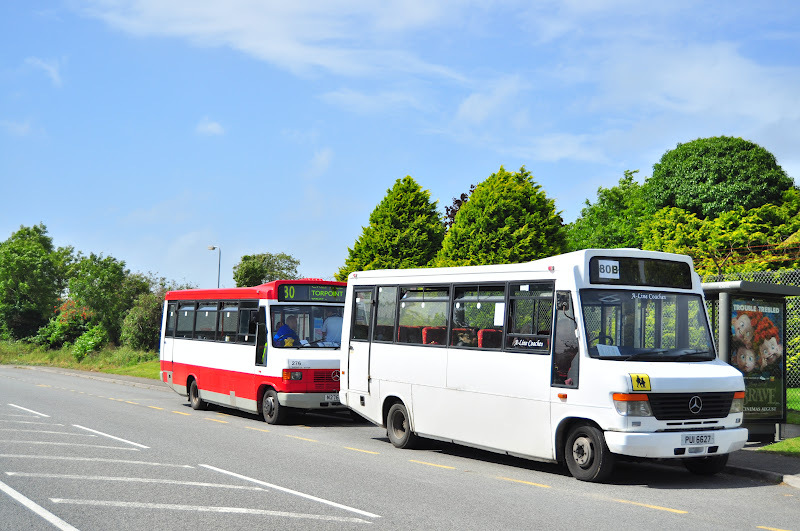 As for the Barnstaple stock that has been on loan to cover, three of them have been confirmed working today in place of the 12 plates that aren't back on the road yet, but as to the whereabouts of the rest of them, it appears a bit of a mystery. They may well have been sent back up to Barnstaple again to live out their final few weeks, but then again it does seem somewhat wasteful of time and money to make such a transfer for only a few remaining weeks. We'll just have to see what pans out. 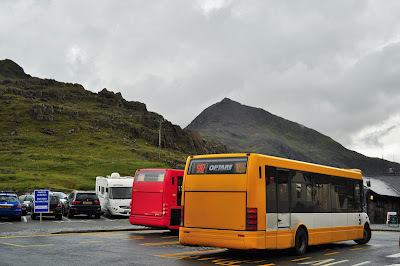 Today I take you up into the foothills out Mount Snowdon, with the photos shown here being taken in Pen-Y-Pass at the base of the iconic Welsh mountain, but yet still being at some 1'200ft and hence is widely considered to be the highest bus station in the UK. This of course does depend on your definition of a bus station, but Pen-Y-Pass is a pretty safe candidate, with several stands, and several terminating services, as well as through services stopping here. The two Solos seen here are CX08 AOG of Express Motors aboard which I traveled right up from Porthmadog, and Padarn Bus' CH60 CDH having climbed from Betws-Y-Coed. Both very challenging routes, particularly the S97 which negotiated some pretty tight roads and steep climbs on its run up. 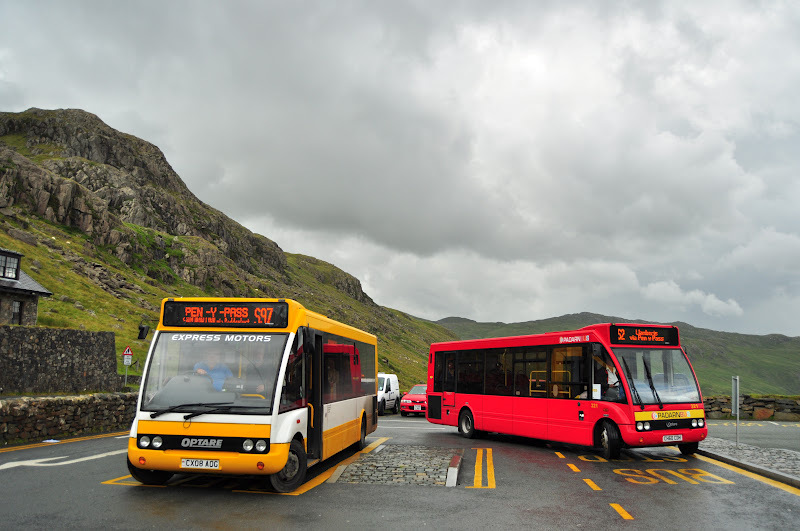 Seen here looking down Llanberis Pass is Padarn Bus Volvo Olympian M215 VSX working an S2, which I journeyed on in place of the Ex-Plymouth Citybus Leyland Atlantean which is the usual allocation to service S1 and S2 from Pen-Y-Pass. The S97 on which I rode on with the Solo has been operated by open top Bristol VR in years gone by, but unfortunately UWV 622S, sister to two of Riverlink's examples, is now residing out of use in the depot with tarpulin draped over it, and is not set to be used in service again any time soon. It wasn't just local buses that made it up to the 2012 Olympics though, a couple of our local coach companies also won work on various duties within London. 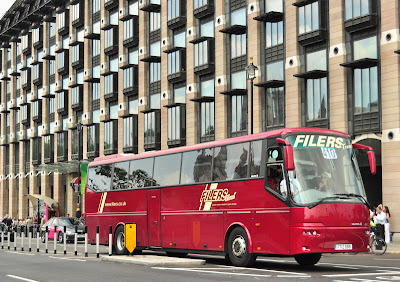 First up is Filer's of Barnstaple's Bova Futura FT12 BBB, new only a few months ago, looking good in its dark red livery. 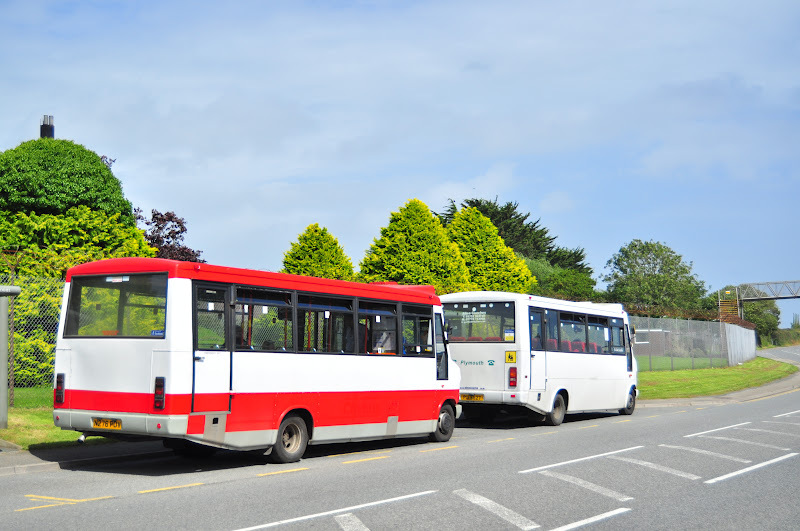 The Mercedes 709D appears to be making somewhat of a comeback in the area of late, now joined by the introduction to service once again of N276 PDV, returning to service out of preservation for the first time in several years. 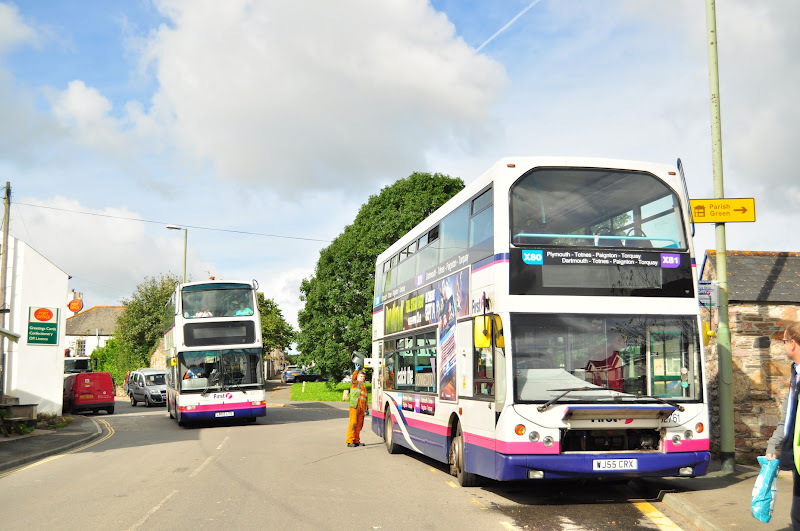 After passing her Class 6 MOT first time yesterday, N276 was brought out onto service 80 this morning, and ran capably and reliably throughout the day, despite having sat out of use at Winkleigh for many months, showing how reliable these little machines really are. I'd like to see a Vario do the same! 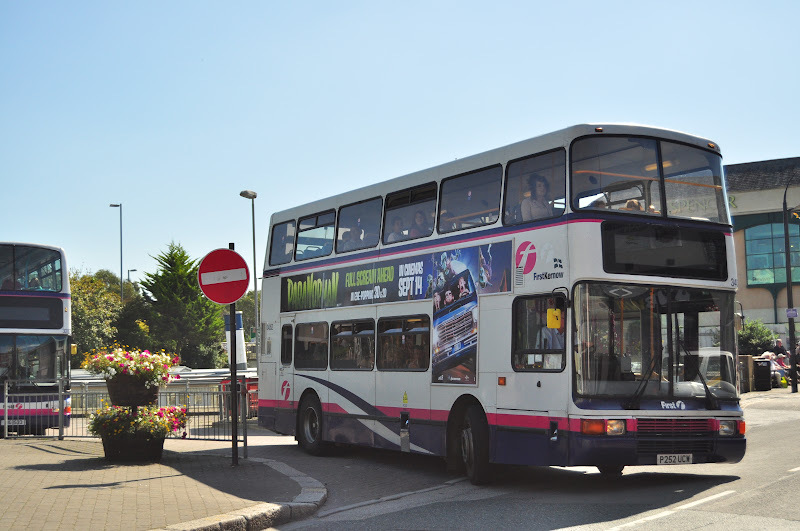 She was joined in Torpoint by PUI 6627, also out working today on service 80A/B. giving a nice comparison not only with the differing frontage fitted to them, but also the difference in length. It is quite interesting to note though how much younger PUI does look, despite actually being a year older than N276. The other 709D (hmm possibly a 811D actually!) 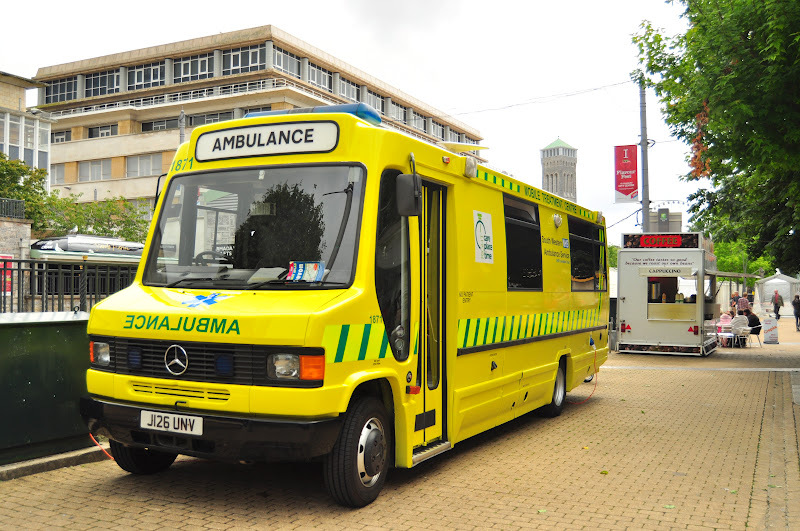 that could have been spotted was the South West Ambulance Service's J126 UNV, appearing extremely well presented in Plymouth City Centre.